When you're living on the road, it's nice to have a place to come home to. 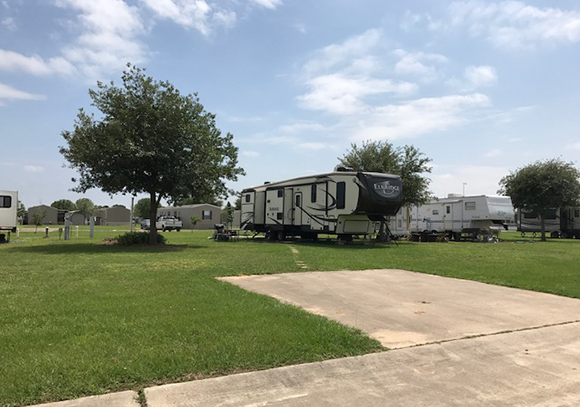 Briarwood Estates has long-term RV sites available in our Community in Sealy, Texas. They may be rented for a minimum of 30 days. 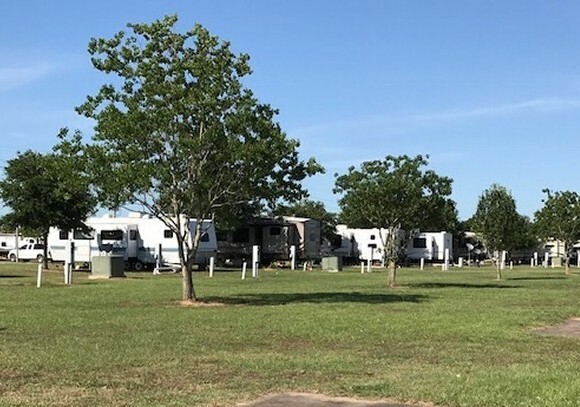 Please call (979) 398-7204 for information regarding RV site rental availability and rates. 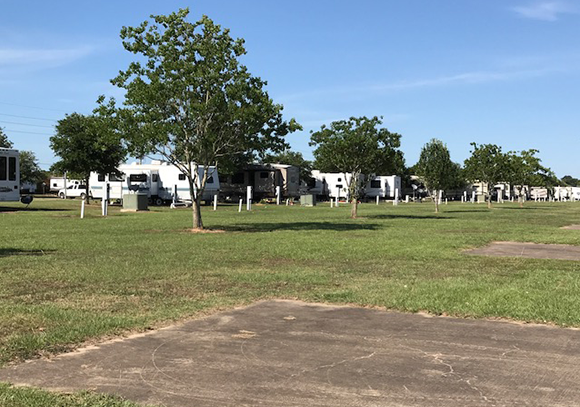 All RV sites have a concrete parking pad and plenty of yard room for slide-outs, chairs and awnings, etc. All sites have mature grass and lawn service is provided for your convenience. Mature trees are located throughout the RV site areas. You will also have use of the Community swimming pool after registering with the office and purchasing a pool pass. 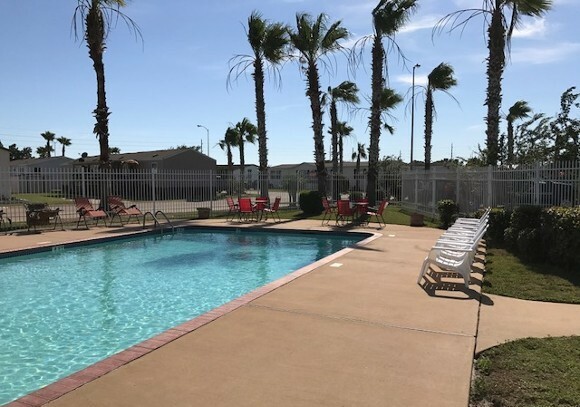 Community dumpsters are located by the pool area. The Community also has U.S. Postal Service boxes if you would like to secure one to receive your mail. The monthly rental rate is $445 per month, which includes water, sewer, trash, and lawn service. Each site also has city utility connections, including both 30-amp and 50-amp sites available. Electricity usage is metered and billed at the end of each month with your rent. Pets under 20 lbs. may be allowed on the site upon approval of management and registration with the office. Only indoor pets are permitted.